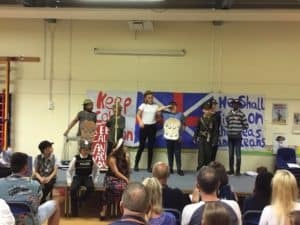 On the 16th,17th and 18th of July Year 6 performed a play called ‘Treachery at Traitors’ Quay’. 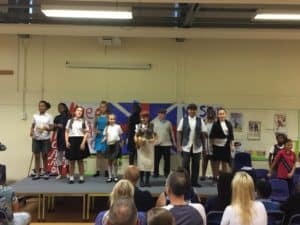 Year 6 had so much fun performing it. 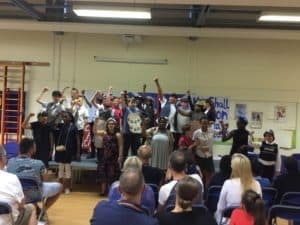 Lots of parents came to the production and said that it was amazing. The play was about 5 evacuees (Duggie, Billy, Rosie, Josie and Lizzie) that were getting evacuated to Devon.